Through the guidance and perseverance of Doctors J. S. Long and D. E. Jenny, a Clinic was opened in Alma Monday, May 24th, 1971. That clinic has served the Harlan County region for 44 years. 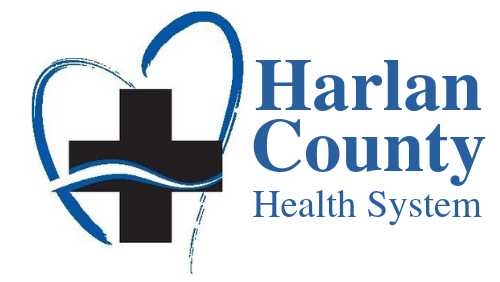 HCHS purchased the Heartland Family Medicine clinic in 2011. At the time of purchase, the Board of Directors knew that they would eventually have to undertake a substantial upgrade project or build a replacement for the Clinic. There has not been a significant update effort since the Clinic opened its doors 45 years ago. A quick tour of the hospital owned Heartland Family Medicine Clinic will demonstrate the need for renovations and other improvements if the facility is to continue to be used in the future. The Hospital Board of Trustees are reviewing options to determine the most prudent exercise, financially, to replace the existing Clinic. The Hospital Board of Trustees are looking at several choices that will allow better service to patients, improve the function and efficiency of the clinic, attract new providers to practice in our hospital and come into compliance with the federally-mandated ADA (handicapped accessibility) and HIPAA (Privacy) requirements. The Harlan County Health System has evaluated a number of options to offset the cost of this project. Further, there is no desire, at any level, to increase taxes to pay for the project. This vital and badly needed Clinic renewal project will be paid for through the proceeds of the “Quality Care… Building on Excellence” Campaign. This capital campaign, designed and conducted by your friends and neighbors, will generate charitable support to offset the costs. We are relying on private donations, grants and other funding alternatives to meet the costs…..eliminating any additional mandated financial obligations to the county and taxpayers. This approach also allows us to meet our needs without passing the financial burden along to HCHS patients by way of increased charges or fees. A recent review of hospital income sources indicates our revenue is generated primarily through federal reimbursements (Medicare, Medicaid) and other third part entities including federal and private medical insurance programs. This is not an unusual situation in today’s healthcare market, but one of the outcomes is that most of our reimbursement rate is dictated by formulas and not by the actual cost to provide the service or cover operational expenses. Increase clinic exam rooms from 6 exam rooms to 8 exam rooms for improved Patient/Family services. Clinic will adhere to current ADA standards which will improve patient accessibility. An upgrade in mechanical and technology services. Allow us to bring enhanced quality treatment and efficiency to our patients. Current Clinic is 2,520 sq. ft. The new Clinic will be approx. 5,176 sq. ft.